Well done and congratulations to our winners as we're feeling festive all 3 of you will receive a prize - please contact Nikky for further prize details and blinkies. Hope you are all having a wonderful Christmas, see you on the 8th Jan! Hi everyone, I would just like to take this opportunity to wish all of our bloggy friends the most wonderful Christmas and a Happy New Year! It's been a busy one here at Doodle Towers and I'd like to say we're looking forward to a break, but there is no rest for the wicked as they say and we will be very busy all through the festive season. 2009 has been a fab year for Polka Doodles and I would just like to thank you all for your continued support, we love seeing your entries every week and you inspire us to keep going! I'm really excited about what 2010 will bring and I know all the Design Team girls are too...so have yourselves a Merry Little Christmas and keep some Sherry Trifle for me please! It's Friday again so its another Polkadoodle Challenge! We are on the last challenge of 2009 - time has really flown since our first ever challenge was launched back in May! Congratulations to our winners! Please email Nikky for further details and your blinkies! Onto this week's challenge! Nikky challenged her Design Team to use her brand new cd Back To Nature but we could make anything we wished! So your challenge (should you accept!) is to make anything you like! Please remember the rules when entering - they can be found on the sidebar. The closing date for this challenge is 28 December at 12noon GMT and the first challenge of 2010 will be on 8 January when we will revert back to allowing just over a week to enter. To enter please leave a comment on this post with a direct link back to your blog post so the DT can visit you and spread a little Christmas cheer! To find out more how each DT member made their creation please click on their names and as if by magic you will be transported there! All items have been made using Back to Nature cd. 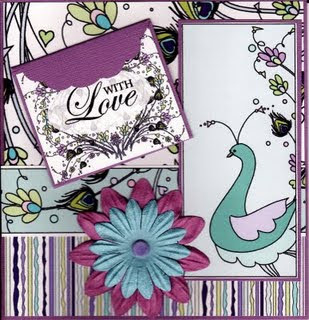 Boni has used the Shake A Tail Feather collection to create this wonderfully layered card featuring a peacock. The panels have been layered onto black card to make them stand out and with a slash of ribbon, this is one elegant card! For Brenda's sample, she has used the Stackies Floral collection and layered them after resizing them to fit her requirements. The stems have been stamped using the Candy Doodles stamps (now this is such a good idea!) along with the sentiment. Claire has made a wonderful Ruby Anniversary card for her Mum and Dad using the Heritage collection from the cd, flowers coloured with Copics and some pearls and gems added this card really is very special! The shaped cards on Back to Nature are just so funny! Here Dolly has used the sheep to make a very funky First Birthday card. All the elements are on the cd and the animals can be made to have a front and rear. Enfys has gone for a round card with some fab big bows! She's added the little girlie owl and cut out some of the tree stampies to add depth along with the alphies to spell out a sentiment. This is Fliss' DT sample and just look at her creations! 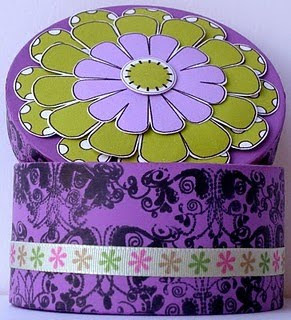 She has also used the Stackies Floral collection, enlarged the flowers and layered them. The box has been painted with acrylic paint and then stamped with the Candy Doodles stamps along with a matching border on the card. 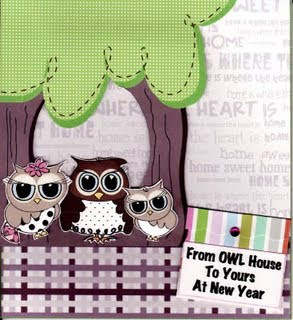 For Kate's sample she has made a very cute step card with the lovely owls. The owls can be decoupaged and this is what she has done on her card. Kerry has cleverly used the swinging girl image and added a branch so she's not floating! 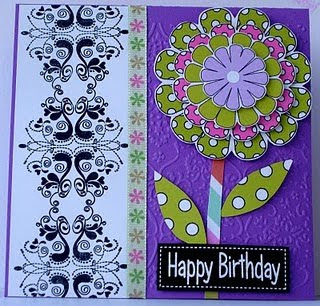 A little bit of doodling and the adding of funky flowers really adds to the card. The sentiment has been stamped with the Candy Doodles stamps. Here Kris has used the very pretty and delicate peacocks to make her sample and the black and lime green borders really make the images pop! 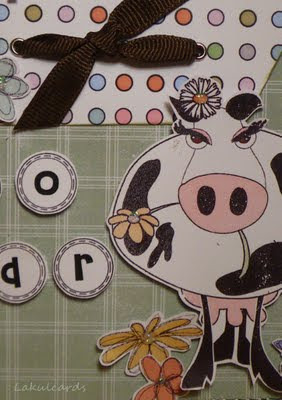 There are different elements to her card and she's used the toppers, papers and sentiment from the Back to Nature cd. The animals are certainly popular with the DT this week! Nettie has used the pig and made an easel card. All the printed paper elements are from the cd including sentiment and flowers! 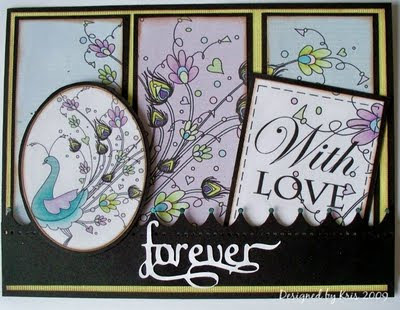 Now you may just have seen this card before as it appeared on Create and Craft with Nikky! Nikky has created this card using the shaped card section on the cd and this shows the horse has a front and rear and that the barn doors really do open! For my sample I've made the spiral flowers, layered some of them up and added craft wire and wooden beads for added interest and texture. I made these as samples for Nikky's TV show too! Remember, this challenge is open until 28 December at 12noon GMT and you have to be in it to win it! Please leave the DT a comment with a direct link back to your creation from your blog and good luck! The winners of challenge 30 will be announced at 9am Christmas Day (just in case the family are driving you crackers and you need to get on the internet!) and the winners of this challenge will be announced with the first challenge of 2010! On behalf of Nikky and the Polkadoodle Design Team, I'd like to wish you all a Very Happy Christmas and a Wonderful New Year! Kate, Brenda, Nettie, Fliss and Dolly who was with us as Guest Designer in November. HUGE welcome to you all girls, I know everyone is going to love your creations from what I've seen so far...(if only they knew how hard they will be worked, mwwaaahahah). So the other thing this week is we've been stacked out following last Thursday's show and the launch of the new CD Back To Nature, this one seems to be going down a storm, I knew you would all love the florals and feathered friends on this one, must admit I do like it loads. I also just need to tell you that if you struggle with your computer for the first time we have included an Autorun feature on this CD so it will automatically load and lead you through the pages, which are all in PDF format. So if you've bought our CD's before be prepared for a slightly different and hopefully easier experience with this one! So you will find that this week it's featured heavily as we want to show you the goodies. I'm back on Create and Craft on Thurs 17th Dec at 11am again so I hope you can tune in, email in, will try and get you all in the cup of chance! Have to say Magic Hands was a bit of a lovely last week, young Tom, think they showed a quick shot of him if you caught it, LOL! Oops OH is reading this over my shoulder! I was also really chuffed to find out today that Simply Cards & Papercrafts Cardmaker of the year winner was spotted using PD stash, how flattering is that! Haven't had time to check it out yet but congrats to the winner, think it's on sale today - she obviously has impeccable taste, LOL! Right let's get on with the winner of last time shall we... So week 28 challenge was to use 3 different papers and a rubber stamp and you had some fun with this one! I think this one was quite hard to judge, took me ages to vote and I left it to the girls in the end! 3rd place... Aquarius............2nd place...Milnie.............and the winner this week is Pinky, well done! I really liked Pinky's card, really simple colour scheme with the red and white but it just goes to prove that sometimes simple really is best, I thought this was quite striking. So girls, email me please for blinkies etc! 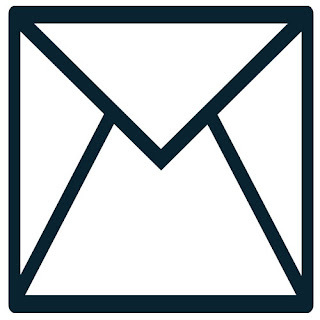 No, you don't have to make an envelope! Well, you kind of do... You need to make a card which uses an envelope format, so you could decorate an envelope and make it into a card I suppose, or you could have an envelope on the front of your card, you get the idea...and it can be ANY shape and any theme, the sketch is just for ref. Closing date as always is a week on Sunday which I make 20th December at noon...and as a spesh Xmas prize the winner will get the brand new Back To Nature CD AND the Daisy Doodles stamp set which is worth a total of £30! Yayy! 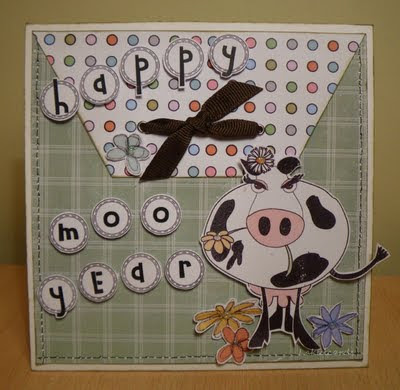 Created by Fliss...she asked if she could keep this one back as she forgot New Years but it's TOO lovely not to share! She's used the Shake A Tailfeather collection which is chocka full of Peacock tailfeathers and I LOVE this collection, it's yummy...love that little notecard, soooo cute! "I was a little overwhelmed by the amount of stash on the BTN cd! I fell in love with the peacock collection as lilac and green are a favourite colour combo of mine and have gone for a mix and match look. Hope you like it. "...errr YES we do Fliss! Created by Kate...Great take on the challenge by Kate, fancy some of that champers! "I have used the jingle jangles cd and added a little gold foiling to it .I used my cricut to cut the bottle and i couldnt find an envelope style that i liked or that fitted the card, so i made it myself"...we love it Kate! 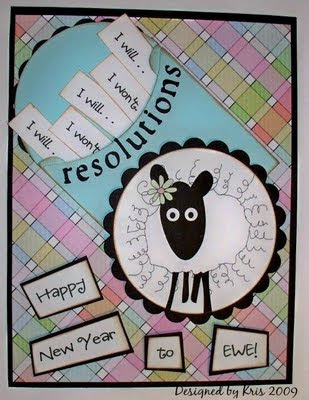 Created by Kris..."I used the paper and sheep from BtN, fashioned a little envelope and then computer-generated the sentiment and little strips for the envie. I'm sure we all "will" and won't" this time of year -hope you're more successful than I usually am! "...Love this card Kris, it's SO cute! Made by Claire...Another stunner, they really are all awesome this week! Claire's made this fab party invite using Jingle Jangles, she loves those reindeer!.. A second creation from Fliss, we couldnt leave this one out..."I'm having such fun with the cd that I decided to do another one anyway. Sorry about the pun but couldn't resist lol! "...why, thankyou very much Fliss! And finally for this week we have Kerry who made this little wonder..."papers from Back to Nature plus a little glitter and some ribbon. Thought this would be fun. Hope you like my take on the challenge! "...we sure do Kerry! 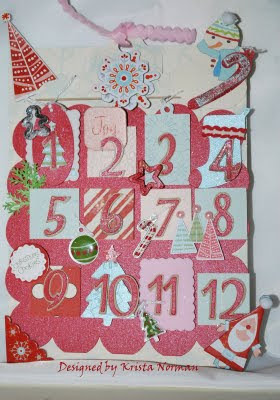 So don't forget you have until 20th December noon at GMT to enter this one and it is a rather fab prize I have to say! Congratulations to you all! Please contact Nikky for further details! 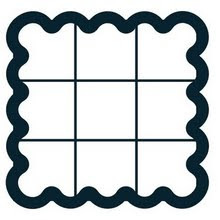 This week, Nikky challenged the Design Team to use a scalloped edge card, sectioned as the sketch below and also to stamp in half of the squares. A little bit different, but the Design Team rose to the challenge and below you can see their creations. If you want more detail on how each DT member created their example, just click on their name and you'll be taken to their blog. This challenge (week 29) is open until Sunday 13 December at 12noon GMT and there will be a Polkadoodle prize for the winner with blinkies for the runner ups! 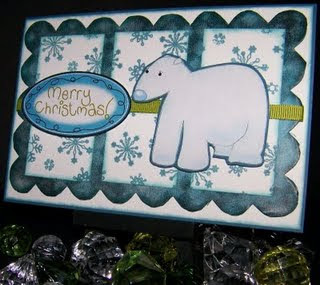 Boni has used the polar bear from Jingle Jangle Christmas plus the sentiment and has stamped snowflakes using the rubber Jingle Jangle stamps. Nice touch with the ribbon to break up the squares! A winter owl from Claire with lots of wonderful doodling! The snowflake stamps are from the Jingle Jangle rubber stamp collection and are really detailed and look so real! 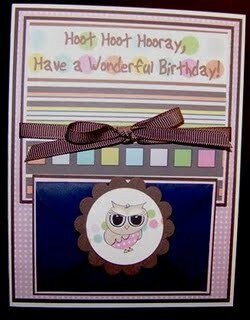 The owl at the top of the card is taken from Sugar Birdies and has been coloured with sakura pens. Kerry has used lots of fine glitter to make this a Winter Wonderland! Papers are from Jingle Jangle Christmas and she's used the rubber Christmas stamps to add detail in the little 'windows'. Now Krista has been cheeky and added some extra rows onto her creation to make a calendar clipboard for each month of the year! Now we completely forgive her as it is stunning! Papers are from Jingle Jangle Christmas plus the little snowman at the top corner. 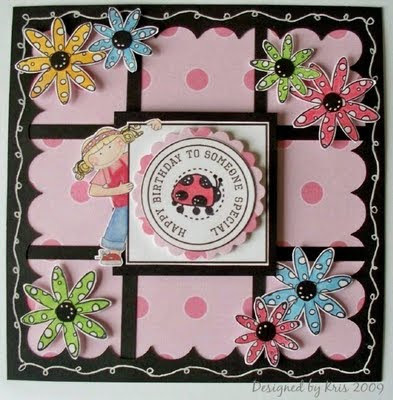 This is such a striking card from Kris who has used papers from Sugar Birdies with Polly from Candy Doodles. The flowers have been stamped with the Candy Doodles rubber stamps and coloured with Prismas and OMS. Do like the little ladybird in the centre and the oodles of doodles! 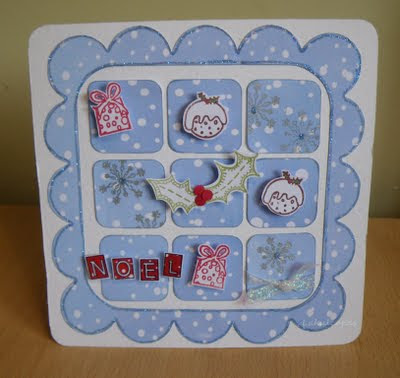 Another winter wonderland scene this time from Lou who has used Christmas trees from Jingle Jangle and then added the snowflake rubber stamps. She's layered the window look with strips of card and I wish I could write like that! For my example, I've used papers from the new cd Back To Nature and weaved / layered the strips together to form the sections on the sketch. The owls are also from Back To Nature and they are decoupaged. A little bit of glitter glue on the girly owl and swirly bits from the Candy Doodles rubber stamps. So don't forget - you have until Sunday 13 December at 12noon GMT to enter - please use the sketch shown and stamp in at least half of the squares to be in with a chance of winning! You can use any product you have in your stash but we would love to see you use Polkadoodle products!